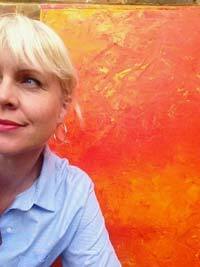 During this summer in Barcelona (great city although I returned with broken ribs – jet ski – don’t ask!) I was drawn to one of their high street fashion stores, Stradivarius, only recently to learn it is the little sister store of Zara. I didn’t buy anything but my teenage daughter did. But since that trip I have been thinking about a pair of soft dungarees I tried on, inexpensive and a really lovely fit, even for my pear-shape bottom. I have also just viewed a ‘similar’ designer pair by Chloe, over £600 so thankfully my £32.99 pair are now on their way. I will be wearing them over stripy knitwear for this winter and cotton t-shirts for Spring. In fact, most of the denim was really fun. Easy pieces with a bit of attitude. Ok, quality is not top of the range but its good enough. Personally I went up a size from a normal medium to large for my 12-14 shape. So take that into mind if you order anything. 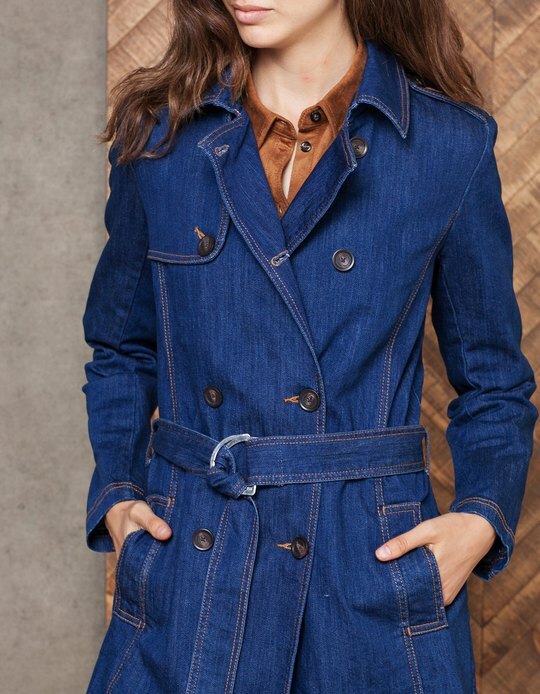 Some other great wardrobe items below, firstly the denim trench coat, £35.99, layer over pale denim jeans and polo neck, or wear with warm neutrals, also perfect for next spring as a light jacket. 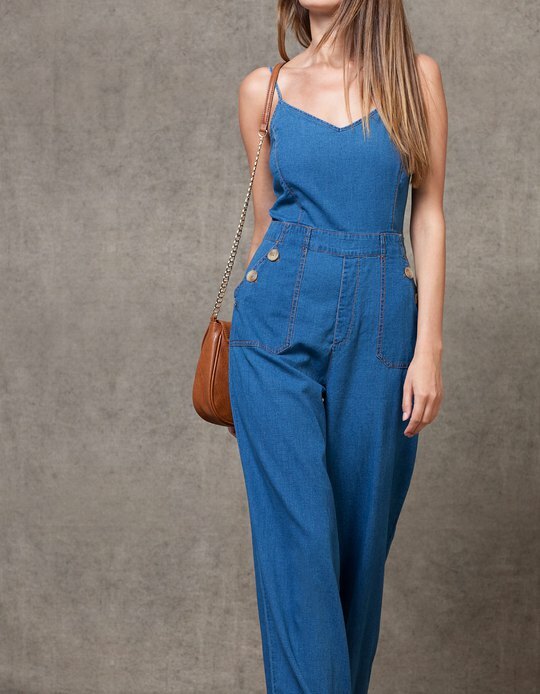 If you are more of an Apple shape, slimmer legs, straighter torso, these stretch denim dungarees are also a great design. Layer over fine knits as shown. For those who are taller, this softer denim style fabric, Lyocell, is used for this floaty skirt, ideally worn with slimmer fitting knitwear and ankle boot with opaque tights for warmth. If you are more of a petite height, this short A-line denim skirt, only £17.99 is a winner with flat knee length boots, thick wooly tights and chunky knitwear. 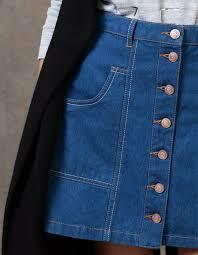 Denim ‘style’ fabrics instantly add a cool vibe to your outfit, and for high street prices I was impressed.